Couple of days back, PwnageTool 4.1 for Mac was released to jailbreak the iPhone, iPad, iPod touch and Apple TV on iOS 4.1. Some Mac OS X 10.5.x users were experiencing issues with this version so the iPhone Dev Team today released PwnageTool 4.1.1 to fix any issues on Mac OS X 10.5.x. PwnageTool works only on Mac OS X and it’s a jailbreak tool based on creating pre-jailbroken custom firmwares while preserving your baseband to be able to unlock your iPhone after upgrading using the custom firmware. 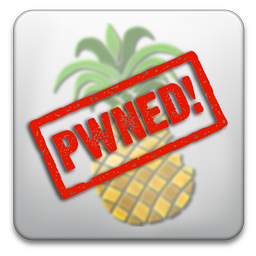 You can download PwnageTool and check our step by step guide posted here to jailbreak your device using PwnageTool for Mac then follow this guide to unlock iOS 4.1 using Ultrasn0w and tell us how it worked for you! UPDATE: Version 4.1.2 is out. You can get it from our iPhone download sections.